This is a 450 mm shaft extension for STIHL's BT 121 and BT 130 / 131 post hole borer. The perfect accessory to add extra length to your auger. These are shaft extensions for STIHL's BT 360 post hole borer, available in a 50 cm or 100 cm extension size. Ideal for adding extra length to your tool. A selection of earth auger bits for the STIHL BT 121 and BT 130 / 131 post hole borers. With a length of 695 mm, you can choose a diameter from a variety of options between 40 mm and 200 mm. 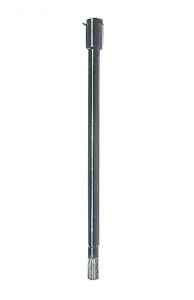 A 150 mm plant spiral earth auger bit for STIHL's BT 121 and BT 130 / 131 post hole borers. The special cylindrical shape allows the drilling of bore holes for plants. This is a drill chuck for STIHL's BT 121 and BT 130 / 131 post hole borers. It is compatible with twist drills up to 13 mm in diameter. This range of earth auger bits from STIHL are designed for their BT 360. Each 700 mm in length, there is a choice of diameters available, from 90 mm up to 350 mm. 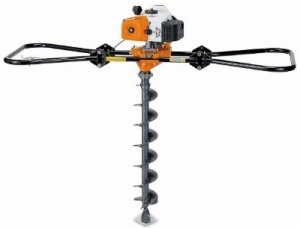 This STIHL plant spiral earth auger bit for the BT 360 post hole borer is 350 mm in diameter and 420 mm long, with a cylindrical shape ideal for drilling bore holes for plants. 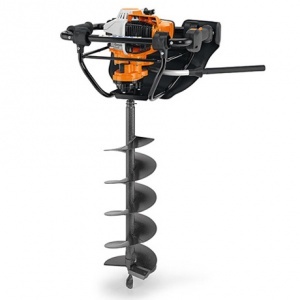 This is a one-man earth auger complete with a QuickStop drill break and STIHL's 4-MIX engine technology, plus low-vibration handle frame and large support cushion. This 2 man earth auger is a powerful and robust machine, which is the perfect tool for earth drilling work up to a maximum diameter of 40 cm in particularly tough soils. Supplied without drilling tool.